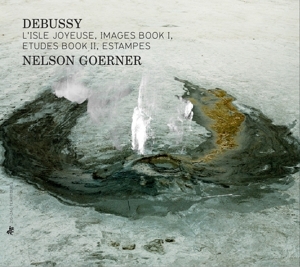 The Daily Telegraph (London, 9 November 2013) described Nelson Goerner's performances of Debussy on CD (ZigZag Territoires label) as "interpretations of sublime inspiration". Ambito Financiero (Buenos Aires, 14 May 2014) said of his recital at the Teatro Colon : "One of the striking features of the musical personality of Nelson Goerner .. is his ability to combine lucid intellectuality, undeniable depth and a technical ease which enables him to express his ideas". Nelson Goerner has performed with many of the major orchestras including the Philharmonia Orchestra under Claus Peter Flor, the Deutsche Symphonie Orchestra of Berlin under Andrew Davis, the London Philharmonic Orchestra under Emmanuel Krivine, the Hallé Orchestra under Mark Elder, the Suisse Romande with Neemi Jarvi and Raphael Fruhbeck de Burgos, the Orchestra of the 18th Century with Frans Bruggen, the Deutsche Kammerphilharmonie with Ivor Bolton, and the NHK Symphony Orchestra of Tokyo under Fabio Luisi. His festival appearances include the Salzburg Festival, La Roque d'Anthéron, La Grange de Meslay, Edinburgh, Schleswig-Holstein and Verbier, as well as the BBC Proms. In the 2013-14 season, Nelson Goerner was the subject of the Artist Portrait series at the Wigmore Hall in London, where he gave four recitals exploring such diverse repertoire as Bach, Mozart, Beethoven, Brahms, Schumann, Chopin, Debussy and Bartók. The 2016-17 season includes recitals in London, Paris, Toulouse, Brussels, Hohenems, and Portland USA, as well as concerto appearances with the Orchestre de la Suisse Romande, the Rotterdam Philharmonic, the Bilbao Symphony, and the National Orchestra of Belgium. The 2017-18 season will include recitals in Berlin, Leipzig, Amsterdam, Brussels, Bilbao, Paris and London. Mr Goerner will perform Mozart with the Orchestre de Paris, and will tour Europe and South America with the Orchestre de la Suisse Romande. The 2018-19 season will include a series of recitals on the west coast of the USA. A keen chamber musician, Nelson Goerner has collaborated with artists such as Martha Argerich (in repertoire for two pianos), Janine Jansen, Steven Isserlis and Gary Hoffman. Nelson Goerner has a strong connection with the Mozarteum Argentino in Buenos Aires, and a student scholarship has since led to many performances. Mr Goerner also enjoys a long association with the Chopin Institute in Warsaw, where he is a member of the artistic advisory committee. With the Institute, he recently explored the interpretation of Chopin on contemporary pianos by Pleyel and Erard dating from 1848 and 1849. 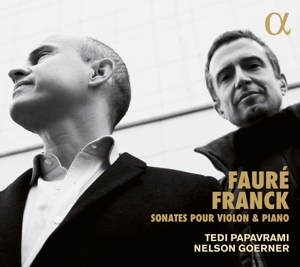 These performances were recorded for the Chopin Institute's own label, with the recording of the Ballades and Nocturnes winning a Diapason d'Or. 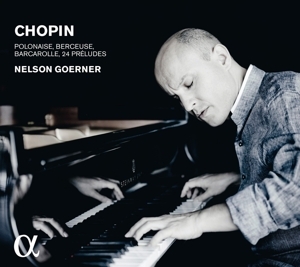 Mr Goerner is very active in the recording studio and his discography includes recordings of Chopin, Rachmaninov, Liszt and Busoni, and a DVD of repertoire by Beethoven and Chopin in a live performance from the Verbier Festival. 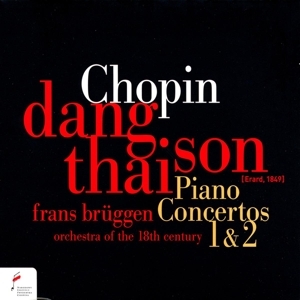 His Chopin recording on the Wigmore Hall Live label was instrumental Choice of the Month in BBC Music Magazine, and his recording of Debussy for the Alpha Classics label was awarded the Diapason d'Or of the Year 2013. 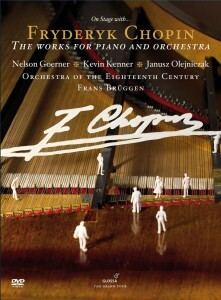 Nelson Goerner's recording of repertoire by Schumann was BBC Music Magazine's Recording of the Month in March 2015. 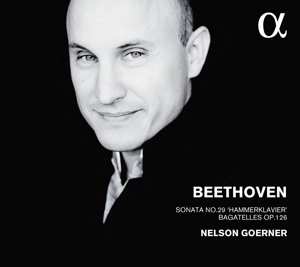 His most recent recording, of Beethoven's Hammerklavier Sonata Op 106, was released to great acclaim. 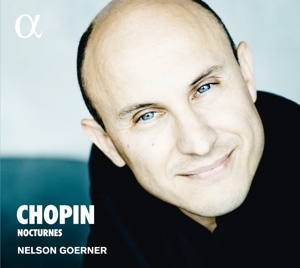 Born in San Pedro, Argentina, in 1969, Nelson Goerner has established himself as one of the foremost pianists of his generation. After studying in Argentina with Jorge Garrubba, Juan Carlos Arabian and Carmen Scalcione, he was awarded First Prize in the Franz Liszt Competition in Buenos Aires in 1986. This led to a scholarship to work with Maria Tipo at the Geneva Conservatoire, and in 1990 Nelson Goerner won the First Prize at the Geneva Competition. Mr Goerner currently lives in Switzerland with his wife and young son. He is professor of piano at the High School of Music in Geneva.